We are fortunate to have Julian Appleyard, a well-known local musician, as our conductor. Born in Leeds, Julian studied oboe with Michael McKenna at the City of Leeds College of Music, before moving to Scotland in 1993 to study oboe and cor anglais with Stephen West and Stephane Rancourt at the RSAMD (now the Royal Conservatoire of Scotland), where he gained a B.A. (Hons) and an M.Mus.(Performance). A prize-winner at the RSAMD, he has given solo recitals as part of the Leeds’ International Concert Season, Carlisle Cathedral Lunchtime Series, the University of St. Andrews and St. Margaret’s Church, Glasgow. He has performed the Haydn Concerto for Oboe in St Andrews, and the Bach Concerto for Oboe and Violin, the Strauss Concerto for Oboe, and the Donizetti Concertino for Cor Anglais in Edinburgh. As a chamber musician he has played at St. Martin in the Fields and the Halifax Chamber Music Festival. Now based in Edinburgh, Julian works as a chamber music and orchestral coach at the RCS Junior Department, as oboe tutor at the City of Edinburgh Music School, and as a woodwind instructor for Edinburgh City Council. 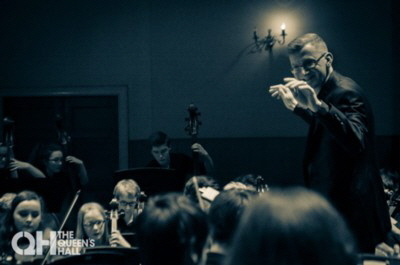 After many years as the oboe coach for Edinburgh Schools’ Symphony Orchestra, Julian has recently taken over as their conductor. He remains active as a performer, playing for many shows and orchestras around Edinburgh.